For the past decade, Mary has been documenting Mexican migrants and the recent wave of immigration to New York by looking at work, family, traditional dances, foods and religious rituals carried out in New York and Mexico. Giancoli traveled to Puebla, one of the regions that send people to New York to pursue the American Dream. Giancoli documented the same rituals at their origin, and the lives of families who have remained. Giancoli will present images from the Virgin of Guadalupe series highlighting processions in New York and the renowned Virgin of Guadalupe pilgrimage from Atlixco, Puebla to Mexico, City. This will be followed by images from Mexican Lives, Mexican Rituals, a black and white series on Mexican dance festivals and holidays such as Day of the Dead. 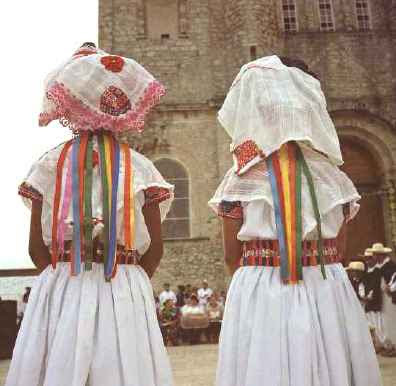 From her Mexican archive, she will include the Atlixcayotl, a dance festival that showcases pre-hispanic and traditional dances; and the Feria de Huipil in Cuetzalan, Puebla, a festival to honor indigenous people who have been displaced from their lands which culminates in the Procession of the Wax. She will culminate with her newest work on migrant farm workers in Long Island, juxtaposed with farm workers in Mexico. Explore more of Mary’s work online.